Did you know this past week was a week to raise awareness about abuse? The websites highlight domestic violence and stalkers abut about wage equity, sexism and other actual women's rights? This was an exciting day. yes i want him ot go more to the left and do the right thing for the country and the world... but it was great to see him in person. more motivated to fight for social change. community organizers of the world => keep rockin' it! * i know this is a week to raise awareness about abuse fo women's rights. seems sad one week a year! A group of us were lucky not only the see and hear pres. Obama in person today but we also got great seats. thanks to both people at the embassy and Mike getting there at 6am! We were moved and inspired by Pres. 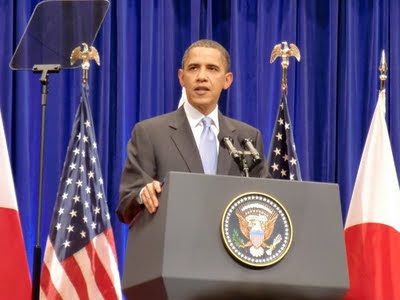 Obama today - he is terribly charismatic and shines most when he smiles. It is great to have someone with a community organizer background in the WH. It is up to us to move him to take the actions we want. There is so much to do to make the world a better place. I still have not downloaded my pix but here are a few. thie first one by John H and the second by Greg I. Many more pix and vids have been posted on FB but for those of you not on FB --- here you go! one of the reasons i stopped posting is my strong feelings about things and the scary reactions i get. yes this is not a high hit blog but there are scary people in the world and as long as they do not know me i guess i am okay. tonight i have 2 notes - 1 good - 1 bad, not really bad! the good i will have time to post when more later about but FINALLY Lindsey Ann Hawker's killer has been not on.ly spotted but found and arrested. SEE! you can make a difference by looking around you and making a simple call. if it was your mom, your sister, your lover - would you not want someone to make that call and say hey i think i saw XXXX. on the big bad note - an old (none older than I!) dear friend sent a short note on FB that her ex- (crazy controlling nutty - my words - not hers ) husband is getting a gun - no excuse me - a pistol permit. Thank god the guy was found ... just hope that other women's families can have peace. The family worked hard to push the police to act and to educate the public. Their efforts paid off. i only hope the police do not bungle it from now! 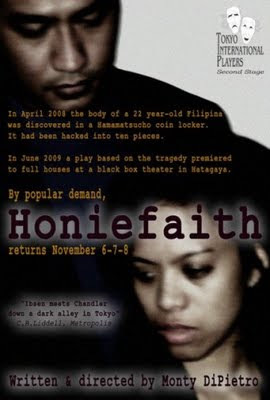 Honiefaith => a play and a real person. Watching the play Honiefaith last week disturbed me a lot. 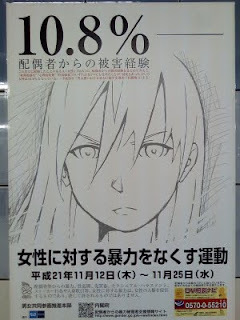 Stories about violence against women disturb me --- but this show is based on a real case. ... well things would have been different.